Colour engraving, dated 1895, of the death of Admiral Lord Nelson at the moment of his victory. Pictures Nelson tended by Britannia and officers. 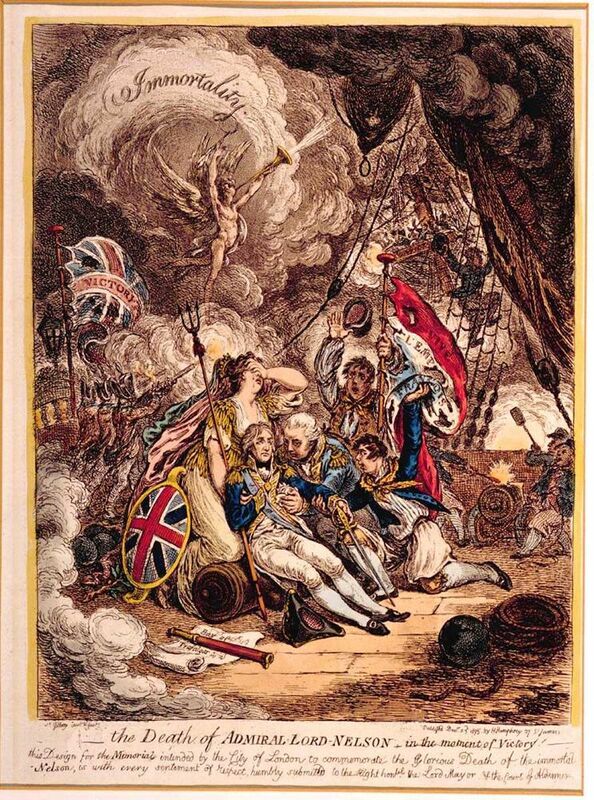 This Death of Admiral Lord Nelson in the Moment of Victory Art Print is created using state of the art, industry leading Digital printers. The result - a stunning reproduction at an affordable price.